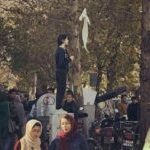 ‘Beware of the Day We Get Arms’: Protests Continue in Southwestern Iran - CALIBERHITTING.COM - The Alternative, To Alternative Media. Protests in the southwestern city of Kazeroun, Iran, which left at least three people dead on Thursday, continued for a second day into Friday. Protesters warned the regime that they will one day have arms to defend themselves against the Islamic Revolutionary Guard Corps (IRGC) and the regime’s forces.